Brainchild of Minal Lonkar-Kavishwar, Animal Angels believe in the healing power of pets. Simply put, this initiative focuses on treating patients with animals as one of the determinant factors. Started in 2003, Animal Angels is a Mumbai-based foundation with a registered office and center in Pune at Eden Towers in Wakad. A masters in clinical psychology, this idea initially stemmed out of Minal’s research on training dogs to be more than companions for mentally-challenged children. Consequently she started training a dog named kutty and documented her findings. Project ‘therapy dog’ was a huge turning point. She found that kutty didn’t just become a beloved pet to the gifted children, but also helped the kids improve their motor skills, attention span, speech and social behaviour. The success of the research pushed her to delve deeper in to the subject. Her program is known as Animal Assisted Therapy that works towards the wellness of children with emotional, physical and developmental disabilities. 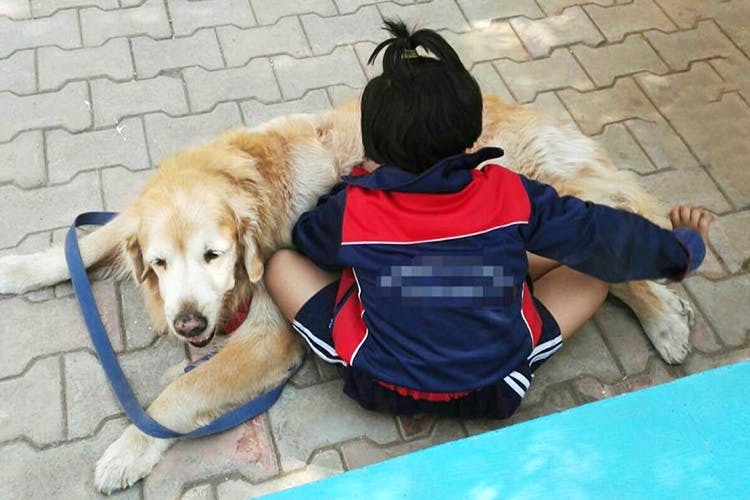 Animal Angels Foundation, over the years, has worked with children with autism, hyperactivity, downs syndrome, mental retardation, hearing and speech impairment, etc. The results were impeccable. Today, their AAT program is conducted in many schools in Pune, including Orchid, Anugraha Rehabilitation Center, Sindhu Vidyalay, Prasanna Autism Center, All Stars Center, Bal Kalyan Sanstha and more. Animal Angels Foundation organises a two-hour workshop in association with PetSitters at Sunshine Farms in Pune. Their team of volunteers and therapy dogs interact and play with children. What’s more? They also organise a bunch of animal assisted reading programs, marathons and therapy sessions in the city. For more details, click here and follow their Facebook page. At Animal Angels, the results are uncanny. The pets are more than friendly and extremely well-trained! If you know anyone who could benefit from this noble initiative, connect them with Animal Angels today.